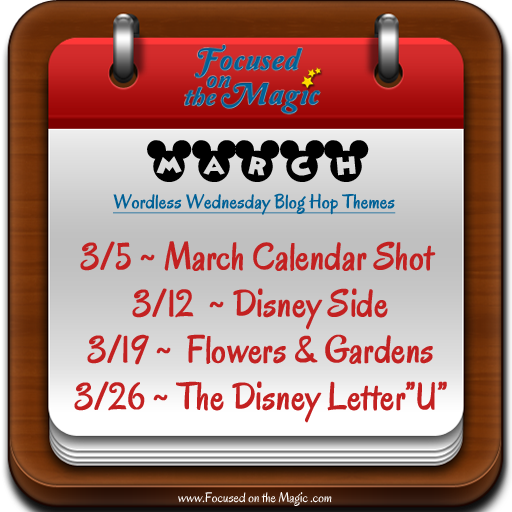 Welcome and thanks for stopping by The Disney Wordless Wednesday Blog Hop here at Focused on the Magic.com where each week we gather with our Disney Blogger friends to link up and share our #DisneySide Wordless Wednesday vacation picture posts. I hope you'll join us by linking up your pictures and hopping to see all the great vacation photos the blogs have posted. The theme this week is:Your April Calendar Shot. Happy April! 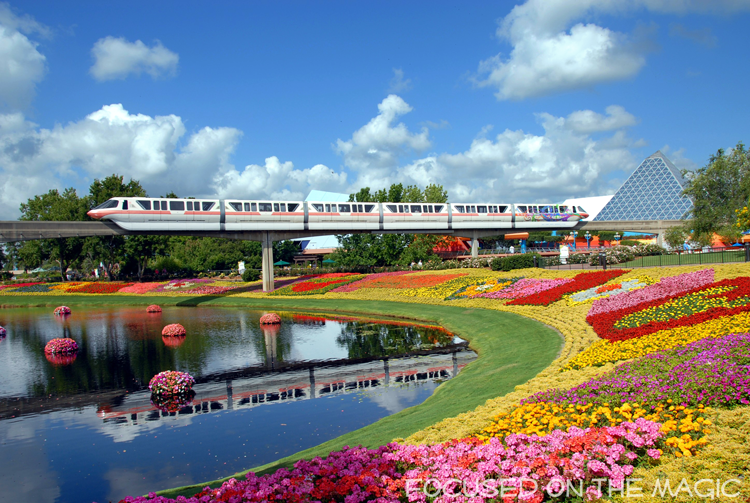 To celebrate the 2014 Epcot International Flower & Garden Festival which happens to be going on right now at Epcot and the beautiful month of April, I'm sharing one of my all time favorite photos and one I just entered into a contest. There's even a Hidden mickey in the clouds making it even more magical for me. Can you see it or is it just my imagination? It's a side shot of Steamboat Willie. I try to take the same picture every year by standing in the same spot and waiting for the monorail to come around. People walk by and some people have asked me what I'm doing. Do you have a favorite photo spot?